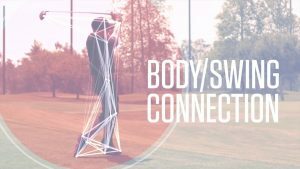 Your Body-Swing Connection is the most important tool you own in golf or any other sport. Your body works in an alternating pattern of mobility and stability in your joints. If this pattern is altered-DYSFUNCTION AND COMPENSATION will occur. Mobility is the combination of normal joint range of motion and proper muscular flexibility. Stability is the combination of 3 things: Balance, Strength, and Muscular Endurance. It is the ability to remain unchanged or aligned in the presence of outside forces.